Scientists are optimistic that a nine year old child from South Africa is now “virtually cured” showing no signs of the fatal infection since receiving treatment shortly after birth. It began as a funded trial by the National Institute of Allergy and Infectious Diseases (NIAID) in 2007 for treating infants infected with HIV in South Africa. There were 143 children included in the trials who were given a 40-week treatment of experimental antiretroviral medicine and among those infants; one was reported recently as being in remission for the last eight years. This was the report shared by a team of scientists at the on-going Paris conference of the International AIDS Society (IAS) who have presented details of the remarkable developments for one patient who is now nine years old. This case counts as the third of HIV infected patients at birth that went into remission after treatment. A baby girl born in 2010 from Mississippi was treated with a strong course of antiretroviral therapy, otherwise known as ART, hours after being born until she was 18 months old. It was ten months later when she was re-tested and doctors discovered that despite the fact that she received no further treatment, the child showed no signs of HIV infection. However, in 2014, after over two years without HIV treatment, doctors had confirmed that the virus had re-emerged and the young girl was consequently put back on a course of ART. 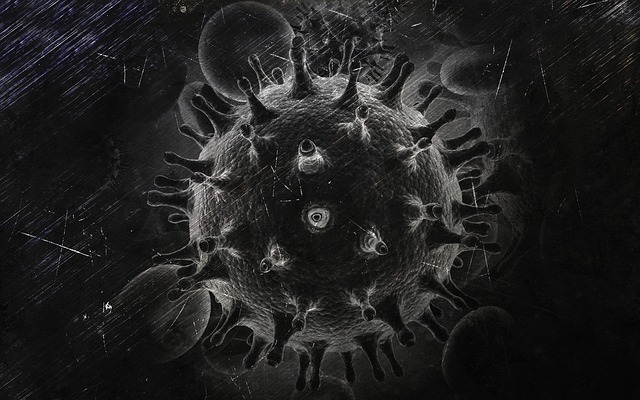 In 1996, a French baby girl born with HIV was treated with drugs to stop the infection. The attempt was considered unsuccessful since the infant suffered from high levels of HIV in her blood as soon as the treatment ended. It was then that the little girl was started on a course of antiretroviral treatments until she was 6 years of age. In 2015, at the International AIDS Society conference in Vancouver, British Columbia, researchers announced that the young girl had been in remission for 12 years and no indications otherwise had been reported. In another case, an infant born in South Africa in 2007 contracted HIV from the mother at birth and was started on a short burst of treatments when it was 9 weeks old. It’s been reported that after the 40 week treatment, the child has not shown any active signs of HIV and has remain that way since. Tests conducted to the now 9 and a half year old child showed signs of the virus in a small number of immune system cells but ones without the capability of reproducing. Scientists determined that despite maintaining a healthy immune system, there were no indications of gene mutation that would have given the child natural resistance to HIV and that could only mean that this remission is still a result of the early treatment. Since the beginning of the epidemic, there are currently more than 70 million people that have been infected by HIV. As of 2015, 36.7 million are reported to be living with HIV/AIDS while 1.1 million people have been reported to have died. Of the total number of affected people in 2015, 150,000 were children with the risk of transmission from mother to child being as high as 45%. HIV, which stands for human immunodeficiency virus, attacks the body’s immune system, making one’s body susceptible to a variety of infections and diseases. AIDS is the advanced stage of HIV. At the moment, a steady anti-retroviral treatment is still the best therapy for individuals affected by HIV regardless of age. And while these therapies are able to suppress the virus and slow its progression in the body, the damaging side effects from the medicine remain a persistent issue waiting to be solved. In a separate research however, scientists have expressed their intention in developing a functional treatment for the epidemic that would allow for a sustained control of HIV, replacing the current ones with six yearly injections that slowly and continuously release HIV medication into the blood. Hopefully, this new approach will address the side affect issue as well. However, they have also cautioned that this discovery is new and needs intense research. Avi Violari, head of pediatric research at the Perinal HIV Research Unit in Johannesburg explained to the BBC “We don’t believe that antiretroviral therapy alone can lead to remission. We don’t really know the reason why this child has achieved remission — we believe it’s either genetic or immune system-related.” It is, therefore, in this current case which scientists are focused on as it can significantly pose a remarkable development in their research. The search for a cure for HIV/AIDS can indeed be described as a race against time but, if only on the basis of the current developments, scientists are finally able to say that science have just gained ground.